Plymouth University's teaching and research centre, Marine Station, has been shortlisted as one of the most inspirational buildings in higher education by The Guardian newspaper. The £5 million waterfront facility, located next to the National Marine Aquarium at Coxside, is used by a wide range of students from the School of Marine Science and Engineering, and is unlike any comparable shoreside facility in UK higher education in that it is within walking distance from a main city-centre campus. The two-storey building, formally opened by Prince Albert of Monaco last year, is one of just three to be included in the 2016 Guardian University Awards in the 'Buildings that inspire' category. 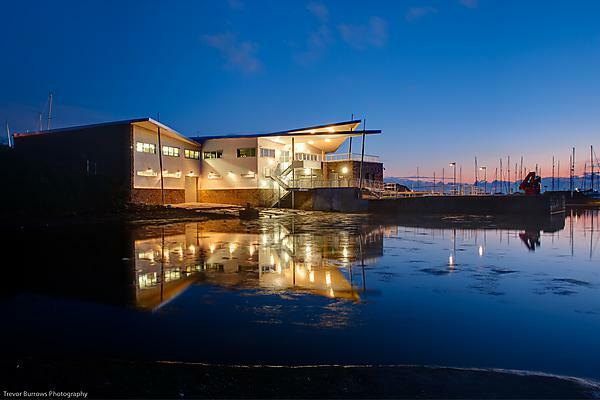 It was built during 2014-15 to replace the former diving centre, and was designed in close consultation with students and academics at Plymouth. It contains teaching rooms with panoramic views of the environmentally-significant waters of Plymouth Sound, and a 120 square metre wet lab, where up to 50 students at a time can study samples, which can then be safely held in the aquarium facility served by continuous fresh seawater. Marine Station is also used as a professional diving centre, where students can learn to become scientific divers, and where companies are able to send their own divers for training and development sessions with the University's team of professional staff. And it is also the base for the University’s fleet of vessels, including the research vessel Falcon Spirit and sail-training vessel Take the Helm. Marine Station has been certified BREEAM Excellent, with a Combined Heat and Power system, natural ventilation and solar panels on the roof – in keeping with the University’s reputation for sustainability. It has already been recognised by several architectural awards including winning the 2015 Mitchelmores Property Award for ‘Commercial Project of the Year with a value under £5 million’). The Guardian University Awards is among the most prestigious in the education sector. Plymouth has won two awards in the past three years - for its innovative eBooks programme, and for the work conducted by its Peninsula Dental Social Enterprise.